Well done to Ben Sizer for winning the Kent under 16 title!! Gone2Pot will once again be working on the Cue Zone all week, so if you're at the Masters come over to the Cue Zone and see me. 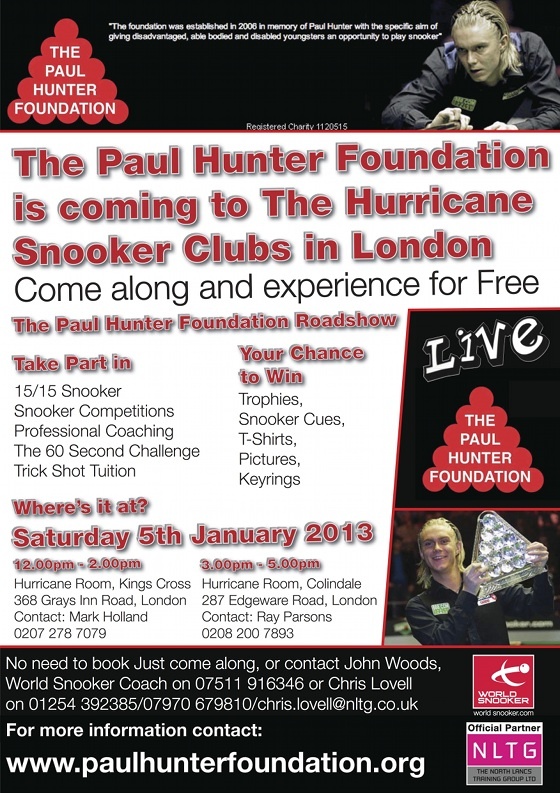 THE PAUL HUNTER FOUNDATION ROADSHOW!! for more information ﻿Contact me. 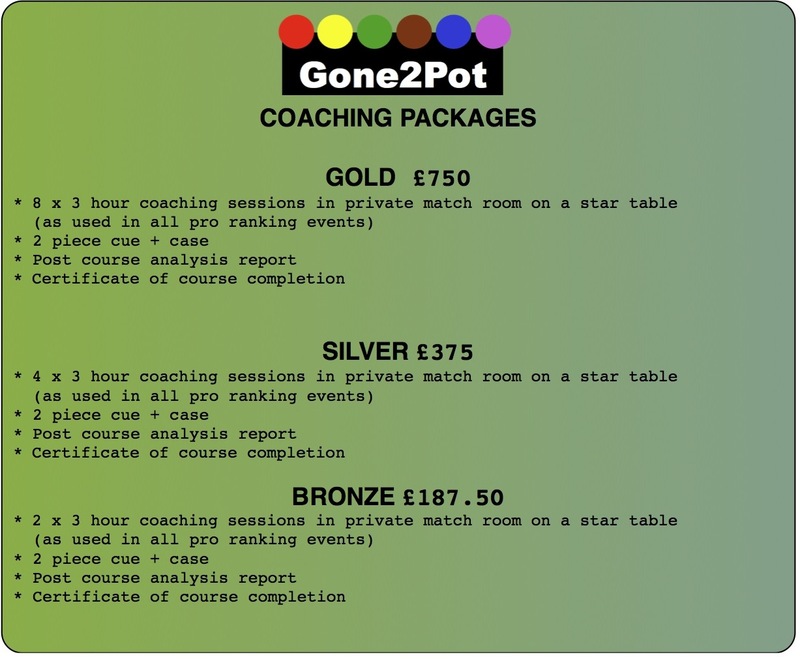 Individual coaching, coaching package deals, gift experience days, perfect christmas presents for snooker enthusiasts!! For more information and to buy please ﻿Contact me.